This past weekend, Sarah Hess went on a four-day sprint through Grant Park for Lollapalooza, avoiding the lightning, tree-climbing kids and fragile-voiced musicians. But between photo pit dives, she also captured the soul of the event behind the steel girders and throngs of fans. The above gallery is a tour through the tour busses and yellow tape that wait behind the glamour of one of America’s biggest summer music festivals. 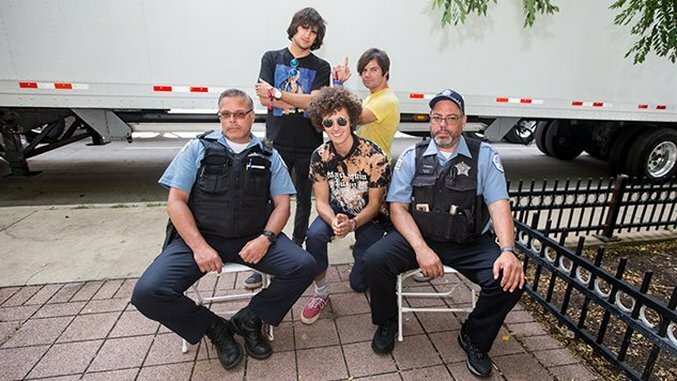 Also: Ron Gallo with some very patient cops. Circle back with us this weekend for our coverage of Outside Lands in San Francisco.